Updates: 0.7.3 is released which included a minor bug fix. Today we released Incredible Bookmarks 0.7.2! We listened to your feedbacks and made various interface improvements in this version. Now if you have too many bookmarks, you can choose to view them as icons only. 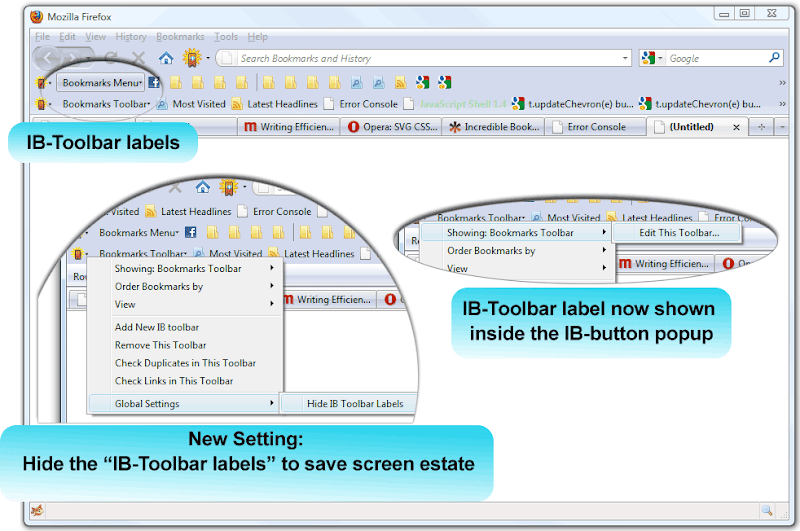 This allows you to fit 4-5 times more bookmarks on a single toolbar. To see the original titles just move your mouse over the icons. If you still need more space, you can even hide the toolbar labels. 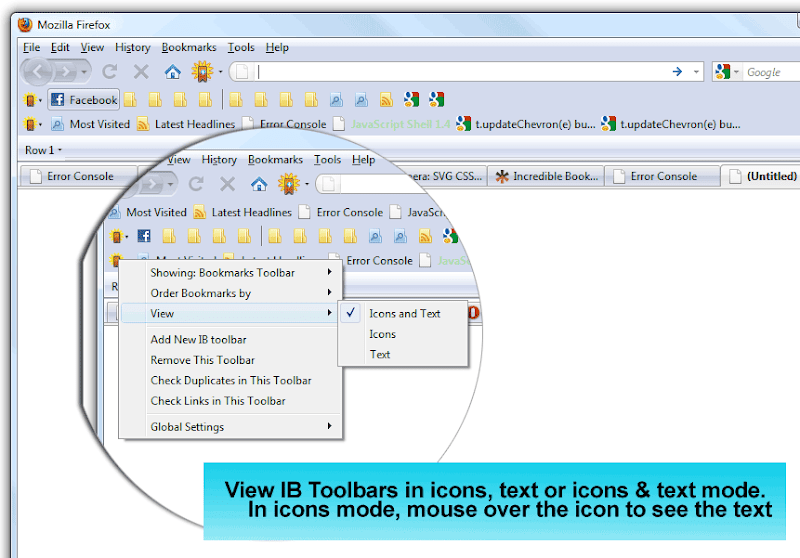 To do so, open the toolbar menu and click "Global Settings" - "Hide IB Toolbar Labels". Now how to change the folders? You can click the toolbar menu and find "Edit This Toolbar" under the first item. There are other subtle changes which made the interface more friendly. Hope you enjoy it! Hello! What about this plugin for Firefox 7?? ?